@motojobobo yours Looks great! While I thought I'd miss the handwarmer pockets I actually prefer not having them for the Silhouette. But I'm super jealous of the lining on the SE Version. I will admit to dismissing this version since it didn’t have handwarmer Pockets. However, I have never even unzipped the side pockets on my J-54 - the gun pockets are roomy enough as it is. I went back-and-forth on this issue as well. In the end I decided to go with the no pocketed version because it appeared that the self edge version had very long sleeves. I haven’t missed the pockets at all. The side pockets were also a major influence on my decision. I do use them. Even when I don’t use them I almost always prefer having them. I don’t own any other jackets without pockets and I don’t think I’d buy another one. I guess the trade off with sleeve length is the only thing that could make me change my mind (and I’m not even really sure if the SE version had longer sleeves). I couldn't do without side pockets...that is where I stuff my gloves as soon as I get off the bike. Not having those pockets would mean losing gloves ALL the time for me. However, with the recent IH previews, it may be a welcome moment to lose a glove or two? 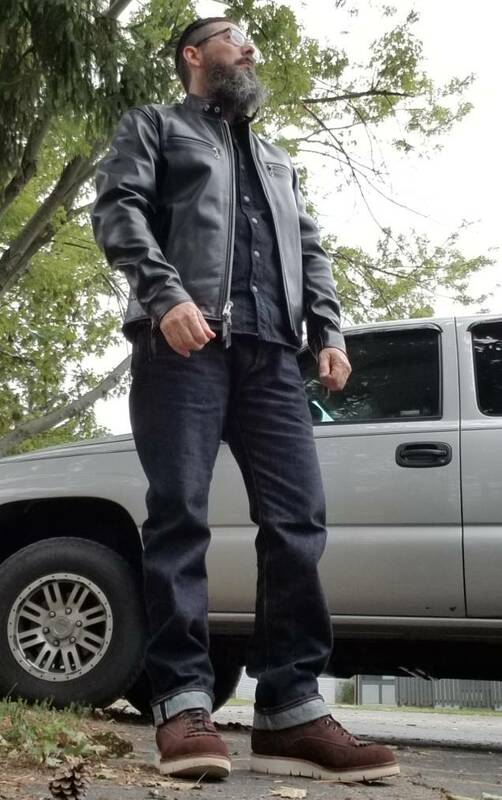 As the pics show, I went with a looser fittting jacket and even though the shoulders are wide on me, the sleeve length feels perfect while riding. I wouldn't want the sleeves any shorter on the bike, but I give up a better fit while not riding as a tradeoff. 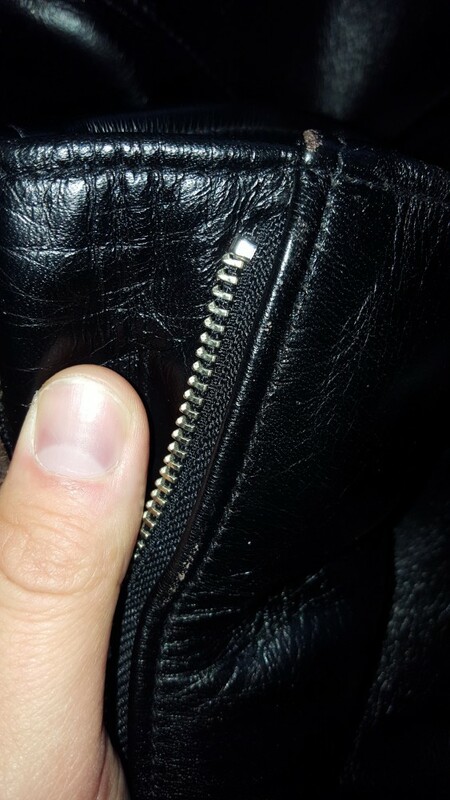 I used to think I need the pockets as I put my hands in them all the time when a jacket has them, but my Type II showed me that I can do without. That said, if Giles had offered the SE Version at the same price I think I would have gone with the pockets but now I am really glad that mine doesn't have them. I like that it gives the front of the jacket a better silhouette and the material doesn't bulge as much. The Gun pockets are super useful for the edc stuff by the way. 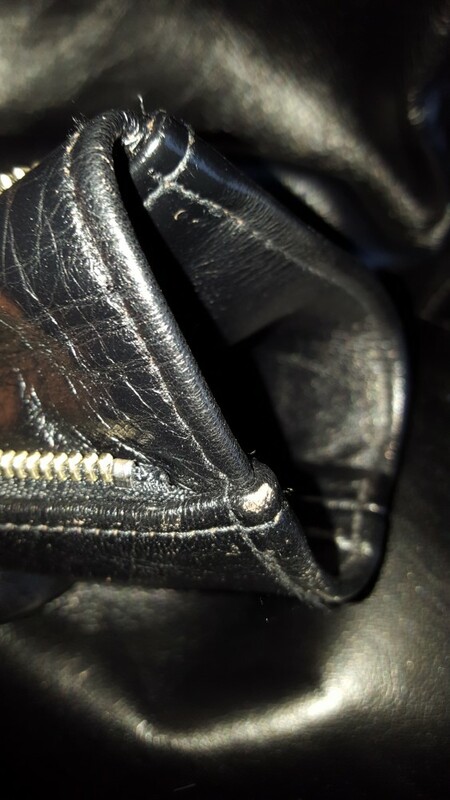 When the pockets are empty they don't bulge at all. And bulging is not very noticeable if the jacket is not zipped. I mostly use them to store my hat and gloves when I take the jacket off. They are also make it convenient to store gloves when doing things such as shopping. Just my two cents (I have the SE version), I do love the hand warmer pockets, but I also like that the side gusset zippers have been removed. Its not a huge deal either way, but I would have mine zipped down if they were there so I prefer not having them at all. Regardless, both the SE and IH versions are winners and definitely get lots of wear during the cooler months. The side Zippers are a huge win for me, as some IH jackets are really snug in the waist when they're closed. The Zippers make it possible to get a slim fit in the top block while still have enough room around the waist - it's perfect for my bodytype. Crazy nice jacket and fit. It may have only fit the horse better! I've only noticed evo on the cuffs and next to the zipper. It seems that the "roll" in these two locations makes it easier for evo to occur. Cool, thanks for the quick reply. These are exactly the spaces I notice it too. Did I mention I absolutley love the fit, feel and fabric of that jacket? The best purchase in the last years for sure. I've got the SE version. Im glad I trusted the IH measurements rather than SE.